Property 4: Cottage with Heated Salt water pool in private & peaceful setting. Property 17: The Rose Barn - La Grange aux Roses. Charente Holiday Cottage for 2 with Pool. Property 26: Character cottage in picturesque location. Property 32: Beautiful residence in CharentePoitou in the middle of the vineyards. Property 35: Chocolate Box cottage. Relax and let the world go by. 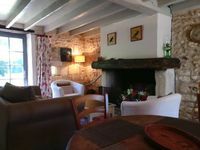 Property 39: Beautiful Gite just for two with free Wi-Fi, heated 8mx4m 'pool and garden. Property 42: Family Holiday Hamlet - Heated Pools, Golf, Tennis, Creche, 10 mins to beach! 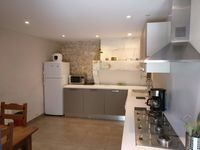 Stunning gites with pools and tennis near Aubeterre. Property 49: Stunning gites with pools and tennis near Aubeterre.